Odyssey of the Dragonlords: 5th edition adventure book kickstarter now live. The Kickstarter for Odyssey of the Dragonlords: 5th Edition Adventure book is now live and ready for your support. Odyssey of the Dragonlords is an epic, 280 page, Greek myth inspired adventure book compatible with the 5th edition of the world’s greatest roleplaying game by Arcanum World’s. Arcanum World’s was founded by ex-BioWare lead designers James Ohlen and Jesse Sky (Neverwinter Nights, Dragon Age: Origins, Baldurs Gate I & II, Knights of the Old Republic and Star Wars: The Old Republic) and Drew Karpyshyn, BioWare senior writer on Mass Effect I & II and Knights of the Old Republic. Modiphius Entertainment have been announced as co-publishers on Odyssey of the Dragonlords and are lending their considerable marketing, Kickstarter, logistics and production expertise to the Arcanum World’s team. Between Jesse, James and Drew, they have an incredible list of credits from some of the most legendary adventure games. James Ohlen spent over 20 years as lead designer and creative director at BioWare working on Baldur’s Gate I & II, Knights of the Old Republic, Star Wars: The Old Republic, Dragon Age: Origins and Neverwinter Nights. Jesse Sky has 8 years as lead designer and creative director at BioWare working on Star Wars: The Old Republic and it’s expansions Galactic Strongholds, Shadow of Revan and Knights of the Fallen Empire. Odyssey of the Dragonlords contains everything you need to run campaigns in the epic, Greek myth inspired world of Thylea including an overview of the world, magic items, monsters and a diverse cast of Greek myth inspired allies and villains inspired by legend. The World of Thylea: Includes an overview of the history, factions, kingdoms, and laws of the forgotten continent. Learn about the gods, the titans, and the legendary Dragonlords. New Monsters: Includes a bestiary of over 15 new monsters inspired by Greek mythology, with lore, statistics, and full page illustrations. New Magic Items: Includes over 20 new magic items inspired by Greek mythology. Find them scattered throughout the adventure or craft them using the legendary Mithral Forge! Colorful Characters. In the tradition of our favorite RPG video games, we’ve got a colorful cast of villains and companion characters that players will encounter on their adventure. Colorful Characters: In the tradition of our favorite RPG video games, we’ve got a colorful cast of villains and companion characters that players will encounter on their adventure. Odyssey of the Dragonlords is infused with inspiration from Greek epic. Your characters can make oaths which they must swear by, much like the oaths that were sworn by the Greek lords to the great King Menelaus which resulted in the Trojan War as told in the Iliad by Homer. Should these oaths be broken your characters can suffer a visit from the Eryines, furies who uphold the law of the gods. The concepts of ‘Xenia’ (Guest Friendship) and ‘Kleos’ (Glory) are also important factors for your characters to consider within the epic Greek myth inspired world of Thylea. The word ‘epic’ is being used in its literal and original sense to refer to specific qualities about Odyssey of the Dragonlords. Epic Scope: This adventure sees your players growing from a band of untested warriors into famous heroes embarking on a sweeping journey across the oceans, inspired by the Odyssey and Jason and the Argonauts. Epic Storytelling: This adventure combines strong narrative design with an open world. The adventure features a handful of critical story moments where players will meet important characters, confront villains, and make big choices. But for most of the adventure, they will be free to explore, with clear objectives. Epic Heroes: Players in this adventure will grow into something more than just a party of intrepid adventurers. They will be heroes in the same vein as Odysseus and Achilles, called by Fate because they are destined for greatness. You can download a free copy of the now revised Odyssey of the Dragonlords players guide here. The booklet contains everything you need to get started as a hero within the world including a brief overview of the world of Thylea, new character backstories, rules for the new Centaur and Satyr races and epic paths for your heroes. This revised edition includes two more martial archetypes as well as updated rules based on your feedback for the Satyr and Centaur races available within the booklet. This is now available now available from Modiphius.net and DriveThruRPG. For a taste of what the world is like, check out this short story, Dragonlord’s Wager, from Drew Karpyshyn. This story takes place 500 years prior to the adventure, during the events of the First War between the mortals and the Titans. “Pen and paper roleplaying games will never die. The combination of open-ended exploration, cooperative storytelling, and tactical combat is addictive and timeless. 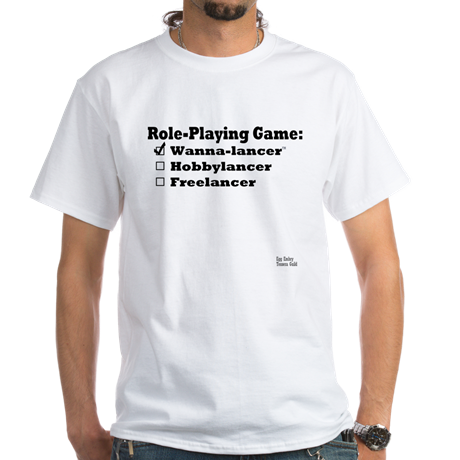 The 5th edition of the world’s greatest roleplaying game proves this. Like all of the editions before it, the game owes a debt to the classic fantasy stories of Tolkien, Lieber, Howard and the rest. It gives players the opportunity to be the hero of their own epic tale. And a world inspired by Greek myth is the perfect place to set a fantasy story where the players are the stars. It’s also worth noting that the selfish, conflicted heroes from Greek myths have a lot more in common with my usual play group than the chummy fellowships of modern fantasy…” – James Ohlen, Writer & Designer on Odyssey of the DragonLords and lead designer of Baldur’s Gate. There’s a wide range of ways you can support the Kickstarter including bronze, silver and gold ‘Heroic’ tiers for early backers which are limited to 1,000 and get you a $3 discount as well as your name in the book. BRONZE MEDALIST (HEROIC) – Pledge US $22 or more. This tier includes the PDF campaign book and digital versions of all stretch goals, with a $3 discount for being one of our heroic early backers! This tier includes the hardcover version of Odyssey of the Dragonlords, the softcover player’s guide, and digital versions of all stretch goals, with a $6 discount for being one of our heroic early backers! Limited to 1000 backers. Shipping price is not included and will be charged in the pledge manager. See Shipping section for estimates. This tier includes the hardcover version of Odyssey of the Dragonlords, the softcover player’s guide, three fold-out poster maps, the Odyssey GM screen, and all digital stretch goals, with a $9 discount for being one of our heroic early backers! Join part of epic history and sign up to the Kickstarter here. Modiphius Entertainment seeks to inspire with its tales of heroism, adventure and courage. Modiphius also works to combat global child trafficking through raising awareness of and funds for Vision Rescue. For more information, please visit modiphius.com. TM & © 2019 CBS Studios Inc. STAR TREK and related marks and logos are trademarks of CBS Studios Inc. All Rights Reserved. Modiphius is committed to delivering a truly exceptional range for V5 that maintains the high standard of editing, production, and development seen in their other lines. Working with existing White Wolf partners Onyx Path Publishing, Elderwood Academy, Dogmight Games, Nosolorol, Arkhane Asylum, Need for Games, Studio 101, By Night Studios, and many more to be announced soon, the team will continue to expand on the diverse product range as well as available languages. Modiphius will work with all partners to ensure major releases are also available at retail. The Fall of London V5 Chronicle (Summer 2019) – London is burning. As the Second Inquisition put the city’s Kindred to the torch, your characters wake from torpor. 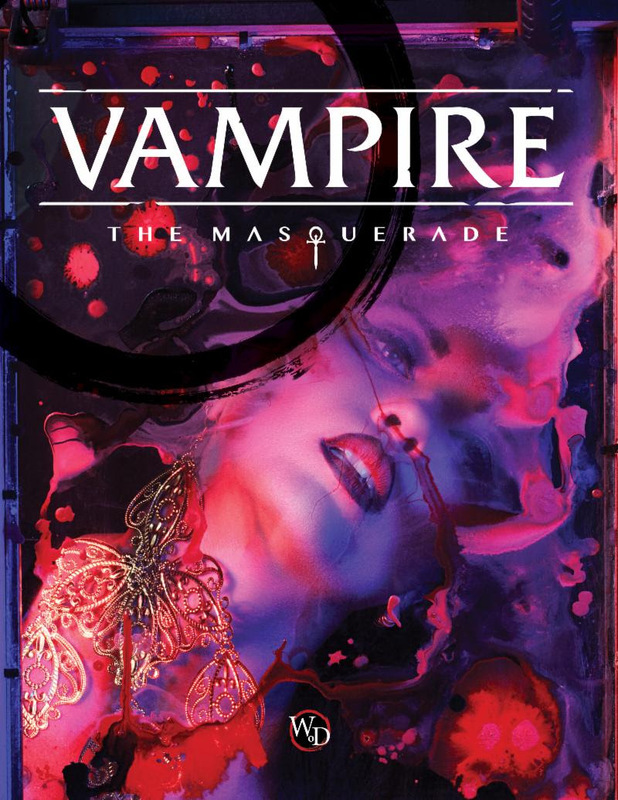 The sensible thing would be to flee now, but before you can leave the capital, you have one last job to do… This campaign is perfect to bring your Vampire players up to speed on the plot developments in Vampire: The Masquerade 5th Edition or as as a gateway for new players. V5 Starter Set (Christmas 2019) – An introductory starter set containing rules to play a self-contained campaign, with premade characters, handouts, maps, tokens and dice. Additional details can be found here – White Wolf Notice of Subscription Closure. Two RPGs and two gamebooks to look at this week. One a Tunnels & Trolls solo adventure, one for 5e, one using Modiphius’ 2d20 system, Momentum, and an original choose your own adventure gaming system gamebook. Ends on Sat, February 10 2018 7:36 PM EST . “A gritty adventure, old school dungeon crawl, published under OGL/SRD 5.1. Original art, print, pdf, and more! DnD 5e rpg OGL Fun! Comet over Echo Rock is a gritty adventure and also contains setting information for Glenfallow, as it stands after the liberation of Glenfallow Keep by Pieron and his friends. This book details new non-player characters, changes to the area, and adds information of use for extended game play. With this book you get a piece of setting you can drop into any world for your use, along with a tough adventure. This adventure is setting neutral, meaning it doesn’t rely upon setting specific information and is suitable for use in most fantasy settings. This book includes art created specifically for the adventure. The art done for this project consists of black and white, as well as some color images, and consists of an array of styles with each illustration done specifically for the scenes they enhance. Available in PDF and print formats (soft cover premium color, and hard cover premium color collector’s edition). All backers receiving a copy of this adventure will also receive copy of the Encounter Scale System ™ map pack created for Comet over Echo Rock. The ESS map pack, is a black and white printable PDF file that allows you to print and assemble maps that are scaled for miniature use. Designed to be a difficult to deadly challenge for characters of second through fourth level of ability, this adventure requires courage, cunning, and strength to overcome. This is a gritty adventure, designed to challenge your group. Written as a follow up story to The Draw of Glenfallow, this adventure builds upon the relationship characters develop with Pieron, the newly installed lord of Glenfallow Keep. Characters who have not played through The Draw of Glenfallow have an opportunity to build a relationship with this newly minted lord. Characters who survived and helped elevate Pieron to his new station can further enhance their standing in his eyes and may firmly establish themselves as trusted heroes. In this book, the characters are once again asked by Pieron to come to his aid. While Pieron is busy rebuilding Glenfallow Keep and overseeing the settlement of his lands, dark forces are making themselves known in the mountains to the north. Dwarves seeking to reopen the Echo Rock silver mine have been killed, and their fellows are calling for the blood of the monsters who struck them down. Pieron wants the monsters in the mine destroyed and the player characters are just the people for the job. There is treasure to be had, innocents to avenge, and political clout to be earned. All that need be done is to triumph where all others have failed. Climb the mountains to face deadly peril. Wield steel and magic to put down the monsters of the north. What secrets will you uncover in the stygian depths of the mine? Ends on Sun, February 11 2018 5:23 AM EST . “A new DestinyQuest gamebook by Michael Ward, published by Megara Entertainment. DestinyQuest is a new style of gamebook that draws on modern fantasy action games such as World of Warcraft and Diablo, and fuses them with the old-style ‘choose your own adventure’ books of the 80s. In DestinyQuest, readers use an innovative map system to experience exciting quests, battle fearsome monsters and discover valuable rewards. Throughout their adventure, the reader can customize their hero from hundreds of collectable items and special abilities, allowing them to take on ever-greater challenges as they seek to build their hero from a starting newbie to a legendary champion. All you need to play DestinyQuest is a copy of the book, a handful of six-sided dice, a pencil and some paper – then you are ready to embark on an epic narrative adventure where you are the hero. You get to make the decisions for your hero, deciding where they will go, what they will do, and how they will react to the myriad of challenging dilemmas that will be set before them. Book Four of DestinyQuest pushes these choices even further, ensuring that no two adventures will ever be the same. Do I need to have read the other books? This is the first of two gamebooks/choose your own adventures/solo adventures on this list. This is the fourth novel in the series and if you’re looking for an expanded series where you make all of the choices, DestinyQuest is a great option. You can see examples of their work at Amazon here. Ends on Mon, February 12 2018 1:16 PM EST . “Decades ago, Danforth and Stackpole created a unique solitaire adventure for Tunnels & Trolls. We’re back to make a great new version. Back in 1990, writer Michael Stackpole and artist Liz Danforth put together a solo adventure book for the Tunnels & Trolls™ fantasy role-playing game, published by Flying Buffalo Inc. Called Elven Lords, the book brought players back to the city of Gull, popularly known as “the City of Terrors.” Facing cutthroat thieves, barbarians, smugglers and pirates, or the horrors infesting the elven tombs to the north, the solitary hero found all the adventure they could handle! The solitaire game booklet came out as a signed limited edition of 1000 copies, never to be republished. That version of Elven Lords has been out of print for many years now, a prized and difficult-to-obtain item sought by collectors. It is time we revisit this adventure. Why? How? And why now? We could not reprint the old edition, even though fans asked repeatedly. We said we wouldn’t, and we won’t. But Kickstarter’s Make/100 project made for a real opportunity: we could create a new, enlarged prestige edition. Players would get the old content—everything they had missed out on before—with fresh new writing and art in a first-class edition. As the original writer, Mike has agreed to write more adventures in the setting, looping them into the existing storyline. Liz brings fresh art to the project, with brand new images, little-known paintings, and her famous line work drawings colorized by collaborator-artist Steve Crompton and others. By making this book part of Kickstarter’s Make/100 projects, an expanded Elven Lords solitaire adventure with full-color interior art becomes possible. This exceptional version of Elven Lords will be offered in a signed, limited edition of just 100 copies, never to be republished. In years to come, it too will become a prized and difficult-to-obtain collectors item. Having a fun game to play is the core reason for wanting an adventure like this. A quality game is our top priority, and we intend to deliver that. (We hope to exceed your expectations, in fact.) So we understand that not everyone wants a collectors edition of “something for fun” just to put on a shelf. Choose a format that suits your wallet and the way you want to play. In addition to the color edition, we will produce a matching print edition with no color, showcasing Danforth’s iconic black and white art. The paintings will be redrawn into line art, as necessary, and every image in the color version will have its counterpart in the black and white edition. This unlimited version will not be signed or numbered, and it will be in print as long as demand exists. For those who want the color illustrations but not as a physical, collectible book, we will make the full color edition available as a downloadable PDF for your computer, phone, tablet, or other electronic device. Playing electronically is seamless, with each Go To choice taking you straight to the paragraph that you should read next. And when we say “no one gets left out?” We really mean it, even if you have never played Tunnels & Trolls before. You get everything you need to play right inside the book. Tunnels & Trolls uses simple rules and mechanics, but we pared that down to the essential “mini-rules” so you can play immediately. Take yourself into the City of Terrors with the main T&T rulebook if you have it! But if you are new to the game, get your feet wet with this adventure and the mini-rules before you jump into the deep end. We even offer a couple of pre-created characters, so nothing slows you down. This is the second of two gamebooks/choose your own adventures/solo adventures on this list. This is a reprint of a classic Tunnels & Trolls solo adventure. Revised and expanded, this is a chance to recapture the original feel of crawling through the City of Terrors. Ends on Sun, February 11 2018 3:00 PM EST . 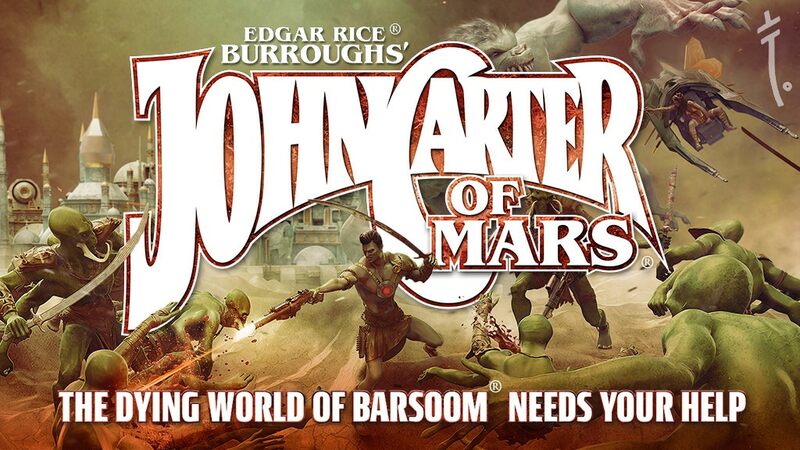 John Carter of Mars – Adventures on The Dying World of Barsoom is a planetary romance tabletop role-playing game. We’ve created it under license and with the cooperation of the estate of Edgar Rice Burroughs, author of the original Barsoom novels. We’ve also had guidance of Scott Tracy Griffin one of the leading scholars of his works to ensure utmost authenticity. Using a pulp-action inspired narrative variant of Modiphius’ 2d20 system,Momentum, John Carter of Mars allows players to take the role of various adventurers and heroes as they travel, battle, and romance their way across the wondrous and dangerous world known to its natives as Barsoom. Play as John Carter, the princess Dejah Thoris or the fearsome Thark warrior Tars Tarkas – or create your own new heroes from a wide variety of options. We’ve spent the last two years working on the John Carter of Mars roleplaying game as a labor of love, everything you see in the project is of utmost quality, from the beautiful landscape book to the stunning resin 32mm multi-part miniatures. We hope to unlock additional art budget to fill our core book with stunning works, to unleash the Swords of Mars campaign book which will include the battle rules for miniatures but also a full RPG campaign. We also want to bring you dozens of gorgeous miniatures to let you see our beloved heroes in action and lots of great geomorphic adventure locations such as airships and ruins. The core book is being laid out in stunning US Letter size landscape format which allows us to create extra long landscape artworks bringing Barsoom to life in vivid detail. Produced in our European print house which is renowned for its excellent hardback binding quality we can assure you of a truly beautiful book to last the ages. The Collectors slipcase is designed in portrait format so you can store your book upright if desired and will also house the Swords of Mars Campaign book once unlocked. This will be just the beginning of an all encompassing John Carter of Mars tabletop games line with a planned boardgame coming next. The core book is fully written, and now in layout, depending on what other books are unlocked in the line, we will be aiming for one shipment in the summer prior to a retail release in the fall. As soon as the Kickstarter closes and payments have been processed you will be given access to the complete documents for the core book as well as the full PDF before we go to print, to provide last minute proofreading. An overview of Burroughs’ Barsoom and its peoples, perfect to introduce new players to the wondrous world of John Carter of Mars. Detailed chapters on technology, creatures, and various cultures. A new skill-less Talent focused narrative variation of the 2d20 system called Momentum, including a step-by-step character generation system designed to create heroes from a variety of backgrounds and concepts. Choose a wide variety of characters such as a dashing Red Martian duelist, a brilliant First Born scientist, a savage Beastmaster, a courageous airship officer, a disciplined assassin, or even Earthborn characters, so players can follow in the bounding footsteps of John Carter himself! A detailed Narrator’s section with information on how to run genre-and-setting appropriate games and campaigns, including information about the great secrets of Barsoom. Three eras of play based on the adventures of John Carter himself. Play during the early days of Dotar Sojat, adventure during the time when Carter was a Prince of Helium and in the years after when he was believed dead, or fight alongside Carter and his allies during the later Jeddak of Jeddaks era. An introductory adventure, the Mind Merchants of Mars, to get players and Narrators started on their adventures. We’re in a pulp era. Flash Gordon just hit for Savage Worlds. Onyx Path Kickstarted Cavaliers of Mars. Now, Modiphius brings us John Carter of Mars using their 2d20 system. If you have any love for pulp sci-fi, the options are waiting for you. 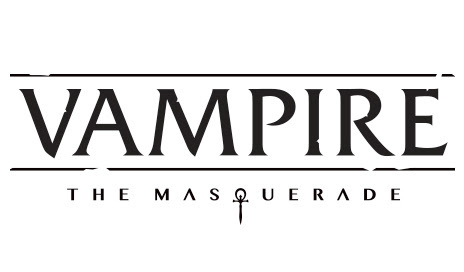 This week, I’m looking at Kickstarters for the second editions of RPGs including one set in the World of Darkness, one using the FATE Core system, and one crossing over from French to English. Let’s check’em out. Ends on Thu, December 14 2017 12:00 PM EST . “Contribute to help create, publish, and distribute the 2nd Edition of the CHANGELING: THE LOST tabletop roleplaying game. There will be dragons and there will be sirens and there will be all the armies of the otherworld sent to bring you back. But you will slay them and you will shun them and you will stand on the battlements of your fortress as they break against your walls of thorn and iron. You know the stories. The hero leaves his village on a terrifying journey, or the waif finds her way through the cold, dark woods. In the end, they kill the giant or shove the witch in an oven. In Changeling: The Lost, you take on the role of an ordinary person who has seen the extraordinary. Lured or abducted by the alien Gentry, you have passed the gates and Hedges between our world and the vast fantastic. In Arcadia, the Gentry changed you. They forged your flesh and sewed your bones, and they gave you a role to play. You were a lover or a servant or a monster. But it was never your story. Having run from your Keeper and climbed your way back through the Hedge (and didn’t the thorns bite more than they did going in? ), you’re back in the world of pizza and Facebook and nuclear anxiety. Your eyes are open now. You can see that magic is not the sole province of Faerie. The world is alive with wonders most people never see…and rife with horrors that count on that unwariness. It’s all part of your life now. You take the good with the bad, the magic with the monstrosity, the beauty with the madness. It’s not always an easy story, not always a happy story. But now it’s your story. This campaign is for the second edition of the Changeling, a part of Onyx Path’s World of Darkness. A decade into its lifecycle, everyone can gauge their interest in the setting. For my part, I’m interested in it for it’s basis in historic folklore that some feel was the superstitious explanation for autism and other challenges. I’m curious to see how this influences the project. Ends on Sun, December 17 2017 12:59 AM EST . “Every choice has a consequence in this game-changing tabletop RPG where destiny is literally in your hands. Warsong Second Edition is a game about cataclysmic war. A game that looks into the face of destiny, and decides for itself. It is a game about mythic deeds, and choosing free will over fate. The Viziers guide the flow of our world toward its inexorable doom. The armies of the world amass and gather, intent on destruction and death. Only you can choose the path of your own fate. By your actions, you choose the course of history. The burden of free will is yours alone. The chains of destiny cannot hold you. In Warsong Second Edition, you play as one of the Viziers, ancient shape-shiftingQuicksilvers, dread undead Neverborn or one of the other primordial inheritors of the world. It is your free will that will shape the course of history and decide whether the world will fall by its own hand, or rise up from its ashes. The ancient powers are but memories, and the people fight for the right to rule. The skeins of destiny have begun to fray and the Ancient Viziers have disappeared along with the old gods, leaving destiny in the hands of their heirs. You are one of the children of the primordial powers, born the promise of destiny, and bound to its power. Armed with the power of magic and the ability to shape destiny itself, the Viziers, divine offspring of both god and man, stand as the world’s last defense against the forces of entropy and their own self-destruction. The gods, ancient viziers and primordial powers have disappeared, the nations refuse to stand united for a promised future and bitter rivalries burn as brightly as ever while the world’s life force dwindles down to ember. It won’t be an easy choice, but it will be yours to make. What will you do with Free Will? Warsong Second Edition began in 2013 as a play-test sample world built along with Pathfinder guidelines. Over time, it became a game of its own and Kickstarted on June 25 2016. Since then, it’s become a dynamic world that has gathered some of the most passionate fans Higher Grounds has ever seen. Now, a bit over a year after the game’s release, a revised and expanded second edition is nearing completion. Renewed in its second edition, Warsong Second Edition takes a year of reviews, feedback and criticism and puts those lessons to work. Ends on Sun, December 17 2017 7:00 PM EST . “Fantastic Arabian Nights adventure in a world of deserts, dragons, and crusaders! Welcome to the Capharnaum kickstarter! Help us fund the release of the English version of this fantastic roleplaying game in a beautiful 400-page hardback, and also expand into a complete line of adventures, supplements, and support material into 2018 and beyond! With your help, our initial goal is to fund the release of the 400-page hardback core book of CAPHARNAUM – TALES OF THE DRAGON-MARKED, a complete standalone fantasy roleplaying game. Our initial release is in beautiful two-colour print, with sixteen gorgeous full colour plates; but rapidly we hope to reach the stretch goal of releasing the entire book with full-colour artwork. We already have the text ready for editing and layout, and anticipate releasing the core book in PDF format in March 2018 and in print in April 2018. Capharnaum also has a range of supplements and adventures which we would like to produce, including a player’s guide, screen, bestiary, atlas, and epic campaign, plus many standalone adventures. We hope that we’ll exceed our initial funding total and be able to release these additional books to you as Kickstarter stretch goals. Why not check out Capharnaum today, in THE TEARS OF AMPHAROOL, our free Quickstart Rules and Introductory Adventure! CAPHARNAUM – THE TALES OF THE DRAGON-MARKED is a fantasy roleplaying game set in an imaginary Arabia-like world. It borrows from the tales of the One Thousand and One Nights, as well as semitic legends and the ancient and mediaeval epics. Capharnaum doesn’t aim to be a historical game, but a heroic one, a flamboyant refraction of historical, cultural, and mythical themes, filled with light and thrilling adventure! Capharnaum is a simple yet profound game. We all know the tales of Sinbad, of Ali Baba, of Aladdin and Scheherezade – we grew up with them, they form part of our personal culture. The world of Capharnaum is familiar, easy to pick up and play. And yet – scratch the surface, and a whole world opens up. Meticulously researched,Capharnaum aims to provide fantastic takes on real-world Mediterranean cultures, from ancient Greece and Rome, Egypt and Sumeria, right through to the crusader kingdoms, dark age and mediaeval Europe, the kingdoms of Africa, India, and the distant East. Uniquely,Capharnaum is centred upon a fantastic version of the Middle-East, where all these cultures meet, clash, come into conflict with the profound cultures of the peninsula of Jazirat, and where something new is being born. Capharnaum uses a tried and tested custom game system which is celebrating its tenth anniversary this year, with a second edition of the original French roleplaying game. Our Kickstarter includes all of the updates and rules modifications of the second edition game. It’s a d6-based system, a modified dice pool with a semi-roll-and-keep mechanic. Simple yet flexible, it combines skills and attributes in rolls against difficulties, resolving into levels of success or failure in a highly cinematic style. It’s grounded in traditional concepts of hit points, armour values, wounds, and healing, but also expands into genre-specific rules tweaks such as Dragon Dice and Constellations which let you really feel the power of the Dragon-Marked course through your character. One of the key components of the Capharnaum system is the concept of paths: mystical associations which you belong to, which represent your view of your role in the world (your “character class”, to some extent), but which also provide you with cool and increasingly awesome abilities as you play. Advancement is built into the Capharnaum system. As one of the Dragon-Marked, you’re already an individual with great potential – but this is an age which calls for Heroes, and the rules let you rise to the occasion and change the world! This translation is based on the 2nd edition of the game. In terms of a setting, it brings something under explored (compared to Europe) in RPG, Arabia. That’s what sets this apart, it isn’t another pseudo-Western European setting. If you want to try out how different it is, they have a free quickstart here.